The Trump International Golf Club, Dubai is the Emirate’s newest course, having officially opened in 2017. Designed by Gil Hanse and part of the Trump International Group, the course naturally has a championship feel, able to test golfers of all abilities. Aside from the exceptional course, the facilities at Trump International Golf Club are simply among the best in the world, with fantastic dining options, extensive leisure provisions and all round brilliant hospitality. 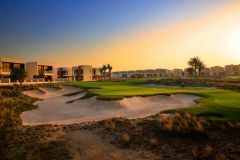 The course is built on over 500 acres of land which was previously untouched desert, a landscape which is extremely prominent in the course’s design. While featuring many aspects of the former barren desert, the course is one of the few like it to feature several water hazards, forcing golfers to consider every aspect of their game with severe punishment lurking. A strategic approach to the course at Trump International Golf Club, Dubai is the best option, with natural vegetation and subtle canyons providing tough elevation changes on many holes. Before heading here, you might want to work on your shots from the sand as there are several rather large fairway bunkers which are easily findable. While the course is a challenge for low handicappers, it does feature a multi-tee system, allowing golfers of all abilities able to enjoy the exciting layout and card a low score. Trump International Golf Club, Dubai is not only home to an outstanding modern golf course but also magnificent facilities. The 30,000 square foot clubhouse is the perfect base for golfers, featuring brilliant changing facilities, a fully equipped pro-shop and varied, professional dining options. Enjoy some authentic Italian cuisine at Fifth Avenue, some al fresco dining on The Terrace or a drink and snacks at The Ninth Sports Cafe. In addition to all of this, there are several leisure facilities which show just how premier a destination this is. Golfers can enjoy a workout in the state-of-the-art fitness centre, a dip in the relaxing pool overlooking the 18th hole or practice their game on the driving range or putting and chipping area.